LARRY ELDER: Fake praise for GHWB: Where were media when he needed them? As with the passing of former President Ronald Reagan, the media are in full praise mode following the death of former President George Herbert Walker Bush. Where were they when the one-term President needed them? In Reagan’s case, even his haters grudgingly acknowledged the overall success of his presidency. As for Bush 41, the media’s praise of Bush’s “grace” and “class” serves to indirectly to attack President Donald Trump by showing the contrast between the two Republicans’ styles and characters. Wimp? Bush joined Navy on his 18th birthday, serving in WWII as the Navy’s second-youngest aviator. He flew 58 combat missions, was shot down by the Japanese and was rescued by an American sub. The year before, Republican pundit George Will called him a “lapdog.” A Washington Post editorial now praises Bush. Yet neither the Post nor The New York Times endorsed him for president in 1988 or 1992. In fact, during his presidency, The New York Times aided and abetted the narrative of an elite “out-of-touch” patrician. During the 1992 election year, the Times ran a front-page story about a President so clueless about the life of the average American that he was unfamiliar with the supermarket checkout scanner. In October 1992, according to Investor’s Business Daily, over 90 percent of the economic news in newspapers was negative. At the time, the economy was well into a recovery, on its 19th consecutive month of growth. Yet much of the business news was sour. In November 1992, Bill Clinton won. That month, only 14 percent of the newspapers’ economic news was negative. As recently as 2012, a PBS documentary repeatedly insisted Bill Clinton inherited an economy in “recession.” In fact, the GDP in Bush’s final quarter grew 3.8 percent. When son George W. Bush won the presidency in 2000, mom Barbara Bush expressed surprise. Indeed. From that very media, currently fawning over a man they now call a “statesman,” George Herbert Walker Bush deserved better. Much better. Larry Elder is a best-selling author and nationally syndicated radio talk-show host. To find out more about Larry Elder, or become an "Elderado," visit www.LarryElder.com. 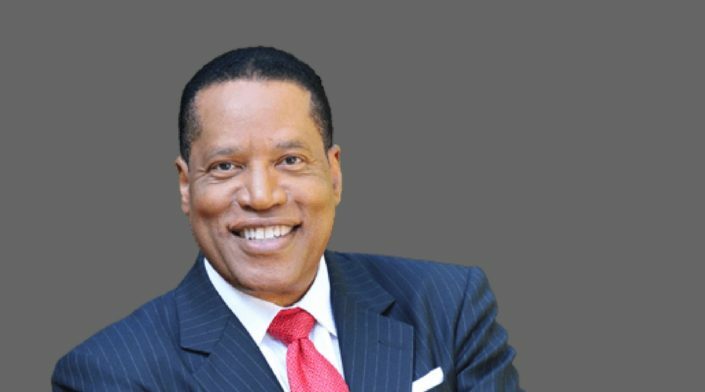 Follow Larry on Twitter @larryelder. This content is provided courtesy of Creators Syndicate.